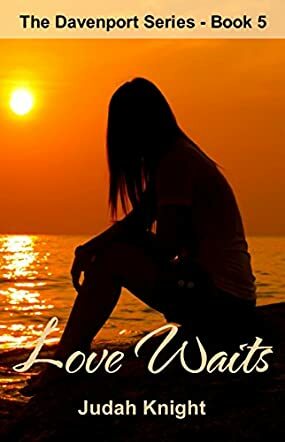 Lacy struggles with the idea of going home after a fantastic summer with her aunt and uncle, their deck hand and the at-risk boys who sail with them to learn responsibility and team work in Love Waits by Judah Knight. Lacy will miss Kerrick desperately, especially living with a mother who doesn’t even care if she is there, so she makes the decision to move from Georgia to Meg and Jon’s home in Miami and take her college courses on line. Of course, that also moves her closer to Kerrick and their relationship grows even stronger, although they decide not to act on it with physical intimacy, or at least try. In the meantime, the medallions that had been discovered in an earlier volume still play an important role in the group’s lives. Traveling from Miami to the Caribbean and Mexico to try to track down the clues presented on the medallions, Lacy and her family and friends are still the targets of a ruthless criminal determined to have the treasure promised in stories of old all to himself. In a race against time and this hardened man, will the family succeed or will they even survive? Young love and the positive reinforcement of strong morals add another dimension to this exciting mystery/suspense tale by Judah Knight. Love Waits is a classic tale of good vs. evil but with the extra story line of making mature decisions and living according to a positive ethical or religious code. As it is book 5 in The Davenport Series, you might think that Love Waits would need explanation, but it is perfectly easy to read as a stand-alone story. Knight works in just enough background throughout the story so you have an idea what has gone on before, but the action fits well within this plot and has you on the edge of your seat as everyone evades the bad guy. There is more to come so a showdown is a given, but Love Waits is its own story and an enjoyable, thrilling one at that.